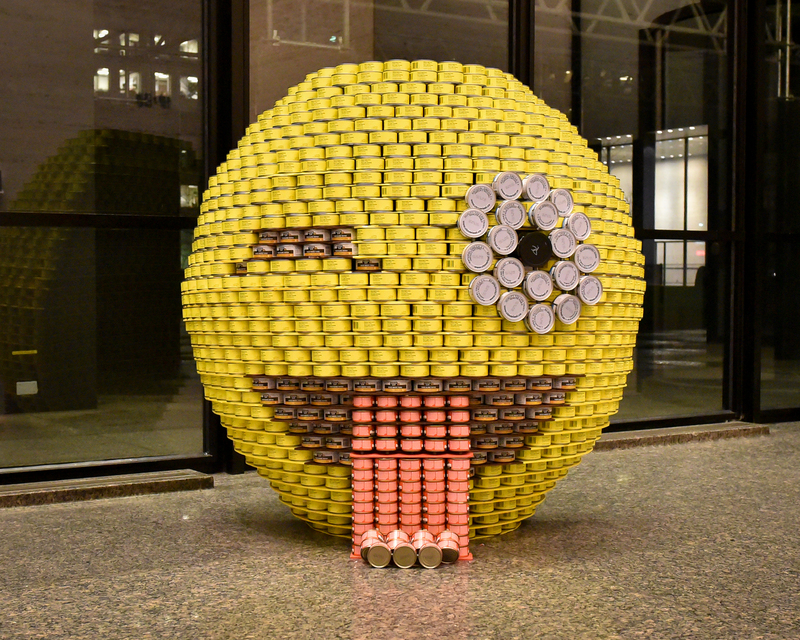 Visitors to Toronto’s financial district may be wondering why there’s a Lovebot around the corner from an emoji both made out of tuna in the lobby of the TD Center. 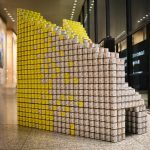 They’re just two of 22 structures on display this week, as teams of professional designers, architects, engineers and students took part in Toronto’s 17th Annual Canstruction Competition. 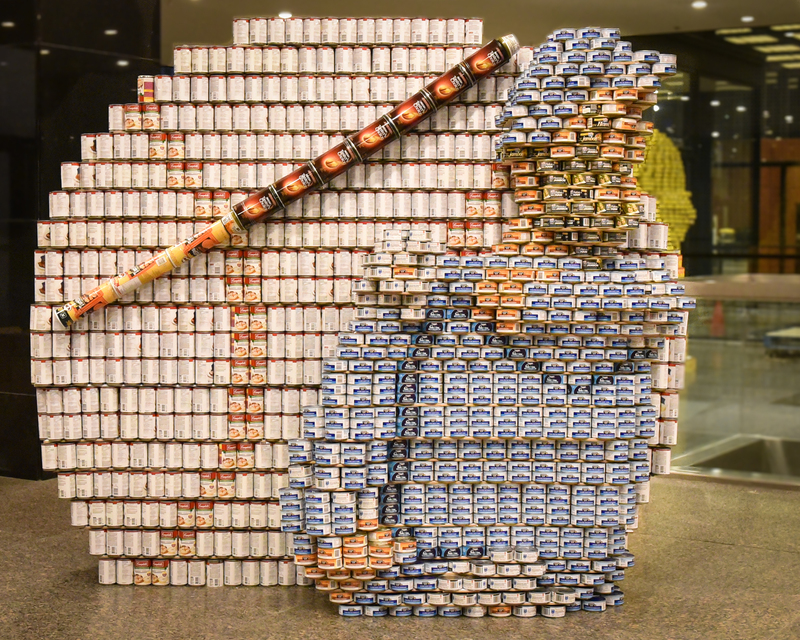 In all 63,000 pounds of donated food were sculpted into audacious, edible statues all in an effort to fill Toronto’s hunger gap. 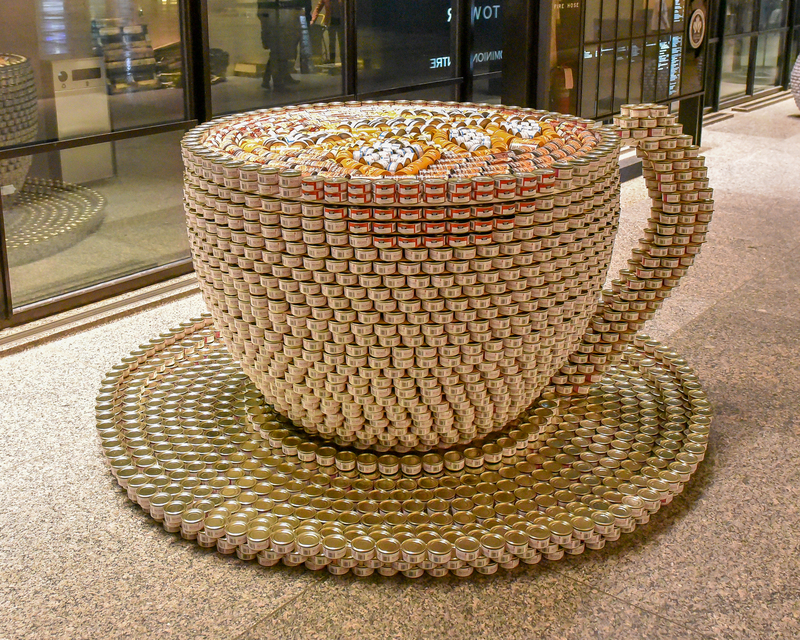 The ‘Canstructures’ are on display for public viewing in the lobbies of the TD Bank, TD West, TD North and Ernst & Young, towers at 66 Wellington Street West until May 20th, before being disassembled and donated to Daily Bread Food Bank, the city’s largest distributor of food to food banks and meal programs. 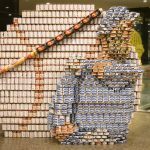 “Canstruction has an enormous impact. 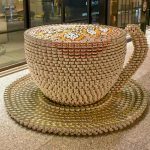 It provides tens of thousands of pounds of nutritious food, and helps raise awareness about hunger and poverty in a unique way. It is especially important in the spring, which is a season donations typically fall off because people are not thinking about hunger,” says Gail Nyberg, executive director of Daily Bread Food Bank. 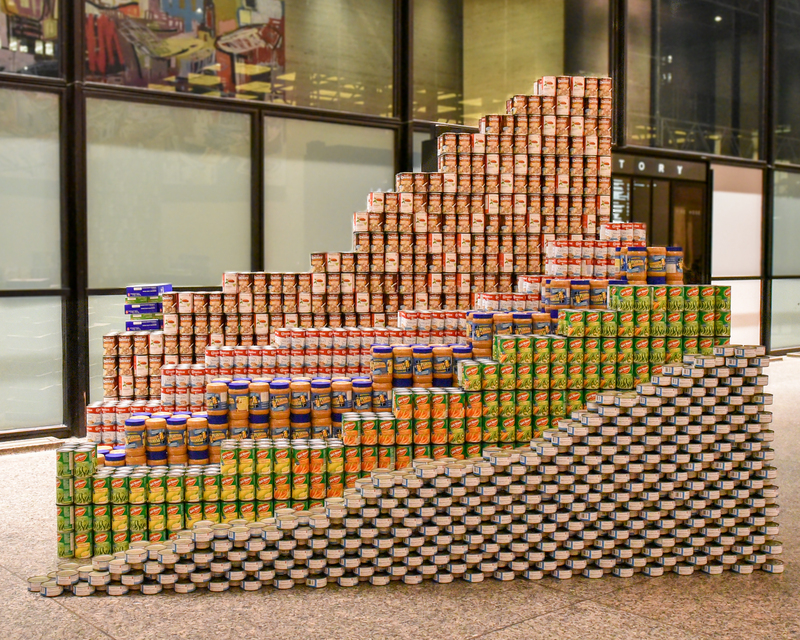 In 2015, Canstruction accounted for 53% of public donations in May. 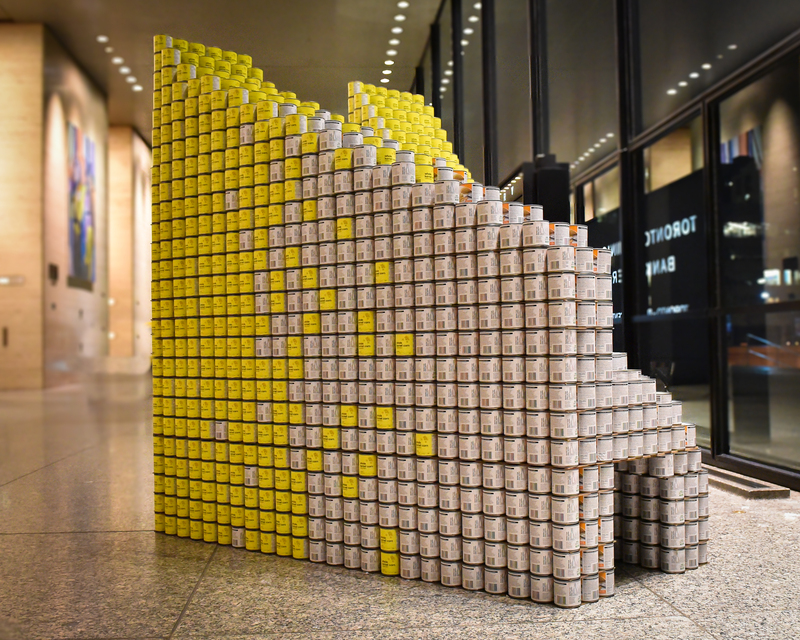 The Canstruction competition recognizes a variety of factors, not just design aesthetics. The ‘Best Use of Labels’ award focuses on creative graphic possibilities, the “Best Meal” award considers the variety and quality of the food donated, and “Structural Ingenuity” considers the complexity of the design. 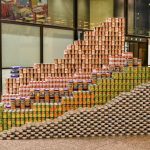 This year, Canstruction Toronto will also have a “People’s Choice Award”, encouraging those passing through the TD Towers and others online to vote by ‘liking’ a picture of their favourite ‘Canstructure’ on Facebook through the Canstruction Toronto page. 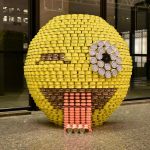 The contest closes on May 22 at 1pm and can be found at https://www.facebook.com/canstructionTO. 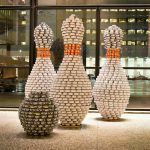 Canstruction Toronto build took place from 6 p.m. on May 16th to 1 a.m. on May 17th. 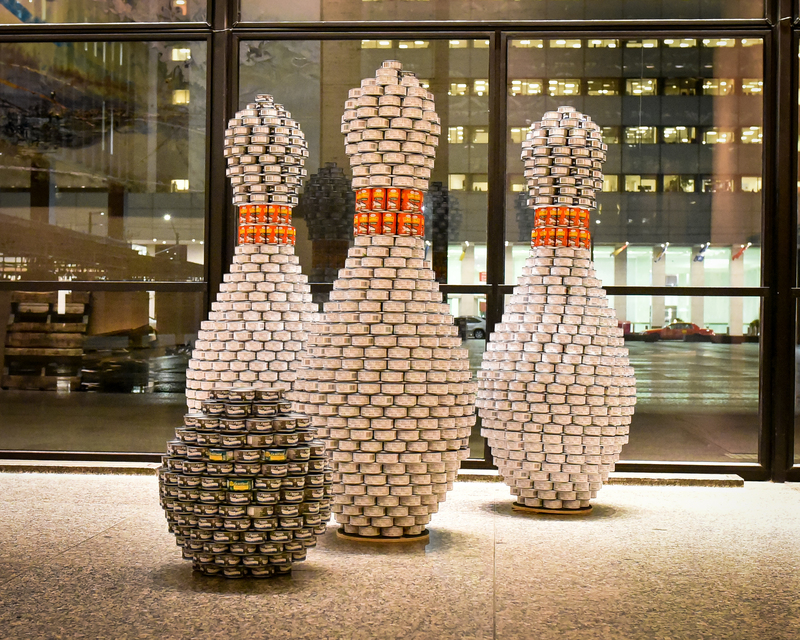 The completed ‘canstructures’ were judged anonymously by a jury on May 17th and winners were announced at an evening reception held at the Design Exchange, with Master of Ceremonies Francis D’Souza, Anchor and Senior Editorial Manager at CityNews.